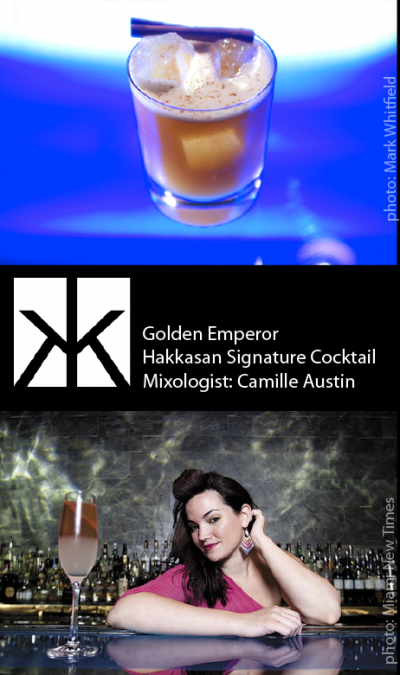 Here is one of Hakkasan NYC’s most craved treasures, the Golden Emperor, crafted by Nature’s Agave featured mixologist Camille Austin. Perfect for celebrating with friends when you want to take it up a notch. Make fresh ginger juice first: peel and cut ginger root into chunks, then press with a lime press, or use a juicer. Combine all ingredients in a shaker. Shake like you mean it, strain in a rocks glass over fresh ice cubes. Garnish with a cinnamon stick and shaved cinnamon.